That's not to mean it will be cancelled (let's face it, if the BBC had their own way Benedict Cumberbatch and Martin Freeman will be playing their roles into their nineties), but more than Stephen Moffat likes to keep us sweating over the future of the show. Chatting to Digital Spy, the showrunner and possible genius refused to reassure fans that the series had a long bright future ahead. You know what Stephen? We've started to get HANGRY. Chances are these consequences will come from the fact that Sherlock shoots a guy in the head in the season three finale (in non-threatening circumstances, even though the guy was the most villainy of villains). Moffat said: "[Series four] is going to be... I suppose you'd say... consequences. It's consequences. Chickens come to roost. It's dark in some ways - obviously it's great fun and a Sherlock Holmes romp and all that - but there's a sense of things coming back to bite you." As seen in this preview clip of the episode. So. Exciting. Spring 2016 apparently. We know. Or as Moffat put it during Comic Con, viewers will be: "sucker punched into emotional devastation". Fab. We'll keep updating this any time there is a HINT of Sherlock season 4 news and, in the meantime, we suppose googling Benedict's Hamlet rehearsal photos will just have to do! 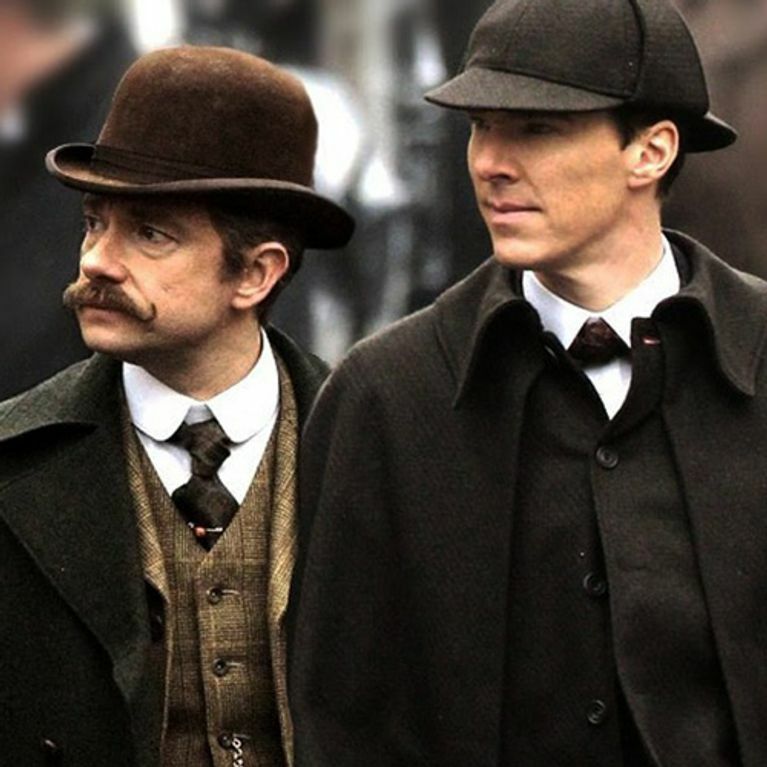 Are you looking forward to the upcoming Sherlock episodes? Tweet us @sofeminineUK! The synopsis for the first episode of Sherlock season 3 has been released! Sherlock To Return For A Fourth Season…But Not Until 2015! Sherlock season 3 finally has a UK premiere date! WATCH: The First Trailer For The Sherlock Christmas Special Is Here! WATCH: Sherlock episode two trailer is here!